In the world of telecommunications, a softswitch is what allows two ends of a phone call to come together. While it seems simple, it is actually pretty complex. If you’ve seen an on-site PBX before, you will know exactly how complex it is. Suffice it to say, these “hard” switches, are extremely expensive to both deploy and maintain. Luckily, VoIP (Voice over Internet Protocol) has changed the game. What Does a Softswitch Do? A softswitch does what an on-site PBX does without all the hassle of equipment. Specifically, it is responsible for two main tasks: terminal control and call control. Terminal control includes registration (detection and authentication of a telephone), admission (control over sending and receiving calls), and status (whether or not the line is in use). Call control is exactly what it sounds like, it includes signaling (address resolution, set up, teardown), call routing, and call accounting (detailed call records). The softswitch’s job is to provide all this type of ongoing functionality and connect to a carrier and a SIP trunk provider, to actually provide the phone service. Creating your own softswitch is probably not the best option unless you have extensive experience in programming softswitches for enterprise. Since the softswitch is arguably the most important part of an enterprise VoIP deployment, it is critical that everything is done accurately. For those that do not have programming background, the traditional option is utilizing an on-site PBX and hardware provided by a company like Cisco which can range anywhere between $10,000 to $25,000 (no, really). Or, utilizing a modern, end-to-end solution. SaaS platforms like Telzio provide full end-to-end services. What this means is that Telzio is a phone service and a softswitch PBX all rolled into one package. This brings several advantages to the end user. First, the product has been built from the ground up to be easy to use. Telzio’s UI allows administrators to create complex telecom architecture, all without any programming experience. Second, even if you decide to find an open source softswitch, you need to have personnel that can administer and troubleshoot it on staff, or outsource to a Managed Service Provider (MSP) with expertise in this area. After all, having a working phone is pretty important to running a successful, responsive business. There are many advantages to making the switch to an end-to-end phone system, but none eclipse the cost savings it can offer for growing businesses. Relatively speaking, an on-site PBX system can easily cost $1,000 per phone when all of the numerous expenses are factored in. This price can change radically based on the type of PBX you utilize anywhere between $1,000 to $10,000. When it comes to the on-site phone system, the better the PBX, the more features it has (e.g. 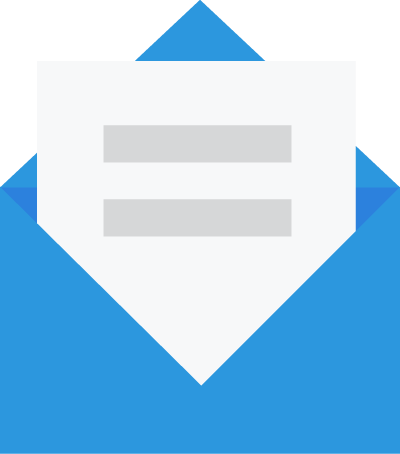 unified messaging, voicemail, transcriptions, hot desking, etc. ), the more expensive it is to deploy and maintain. To build your own softswitch PBX, you would need at the very least a server to run it on, (ie AWS), a SIP trunk service (ie Twilio), and the softswitch itself (ie Asterisk). In addition to an open source softswitch like Freeswitch or Asterisk, you also need a SIP trunk provider like Twilio, which is an additional cost, typically charged by the minute or per channel. Given the complexities of developing and administering a PBX either in-house or by an outsourced firm, the cost benefits of running a self-service system like Telzio start from day one and add up with each feature, extension, and maintenance issue needed. Telzio eliminates the need for SIP trunk providers, softswitches, PBX platforms, and server solutions. With Telzio all you need is your device and an internet connection to deploy a complete phone system with all the PBX features plus modern features like a mobile app and work-from-anywhere capabilities. At some point, it can make sense for a large corporation to develop their own softswitches and PBX infrastructure in-house, whether to establish their own carrier relationships and rates, or to build very unique customizations. For the vast majority of companies, Telzio offers more than enough flexibility to customize features right out of the box, without the need for an IT professional or separate SIP trunking and software hosting services.